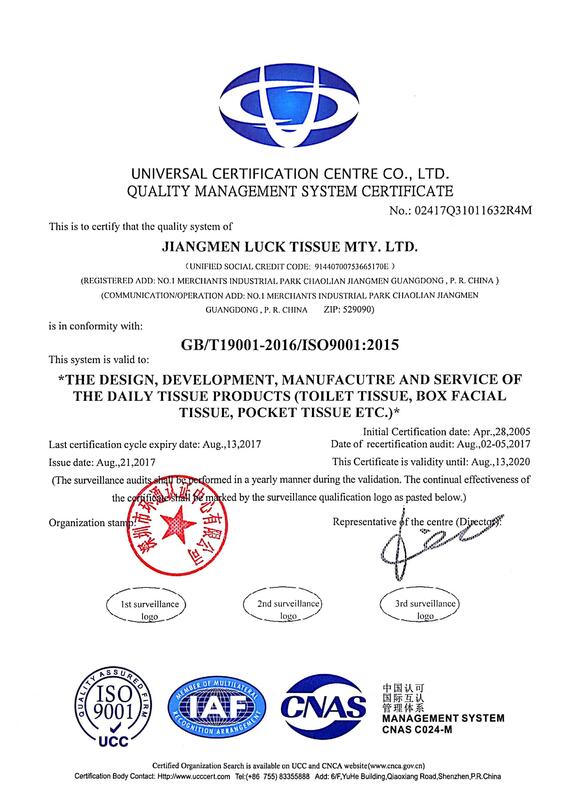 : 160g/roll, 10 rolls / pack, 60rolls/outer polybag, 55200rolls/40HQ. 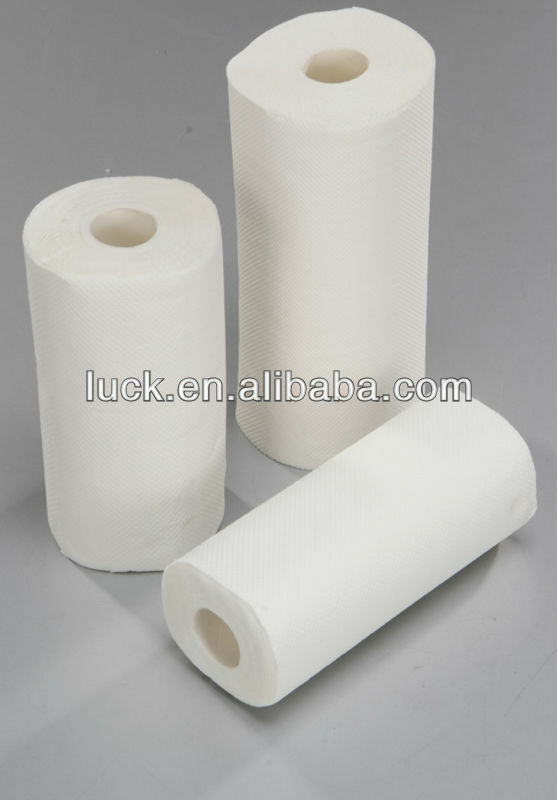 toilet paper: 160g/roll, 10 rolls / pack, 60rolls/outer polybag, 55200rolls/40HQ. 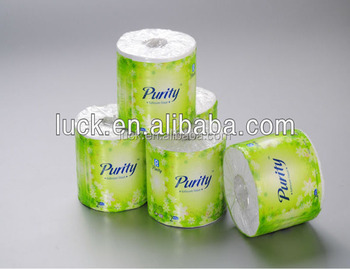 facial tissue: 100sheets/box, 48boxes/carton, 1100cartons/40HQ. Yes. We can. But there is sample charge around USD400.00. It’s about 10 to 15days. It depends on the quantity. It varies from 20 to 45days. 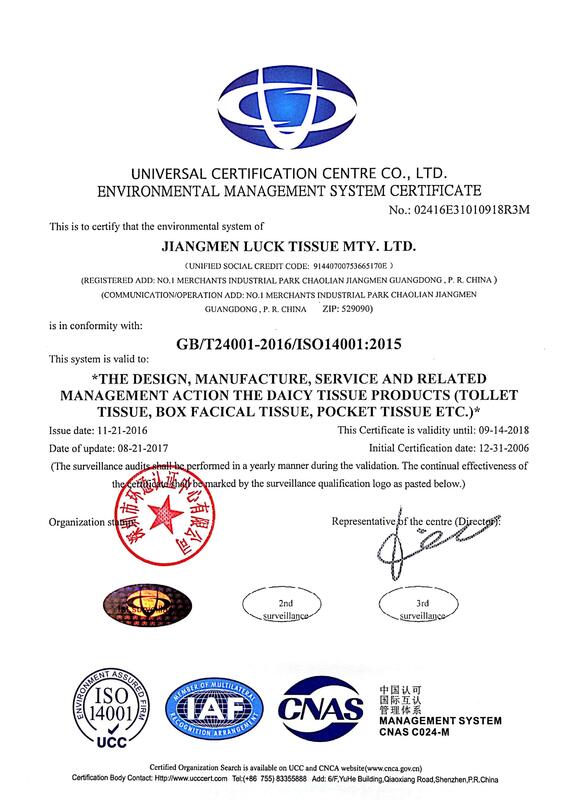 We have ISO9001(quality system), ISO14001(environment system), BRC (WCA+SQP audit).